Because of foam’s flexibility we were able to expand the project to solve all of his leaking problems while we were there. 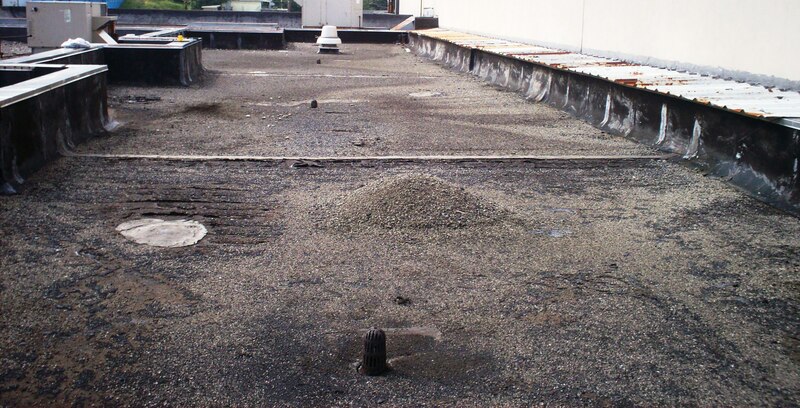 Gravel was removed, wet spots dried and the roof cleaned prior to foam application. 2.8 lb. 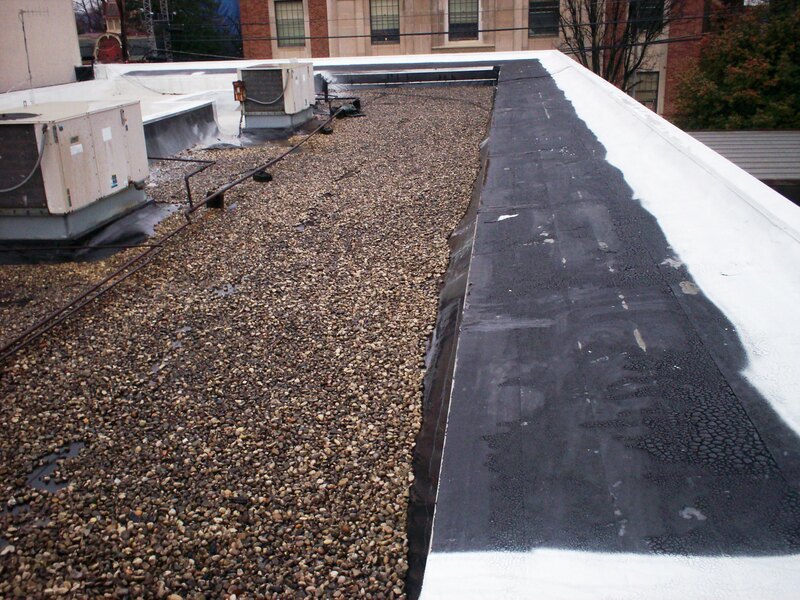 foam was applied at minimum of 1” and varied depths to fill low spots and improve drainage. 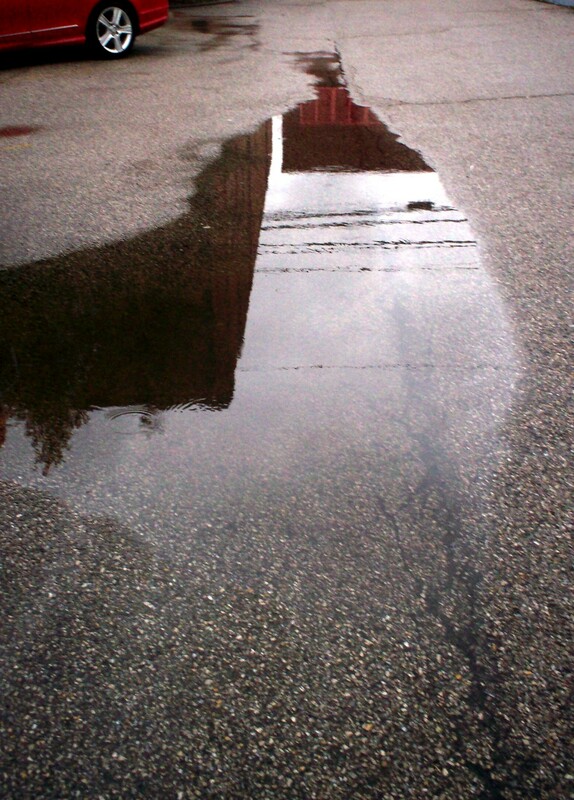 Silicone coating was applied over the foam. 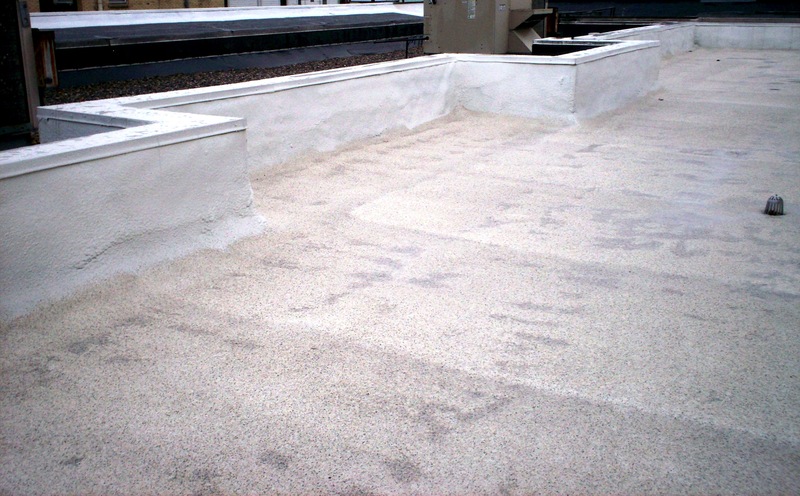 Granules were embedded into the top coat for added durability and extended coating life. 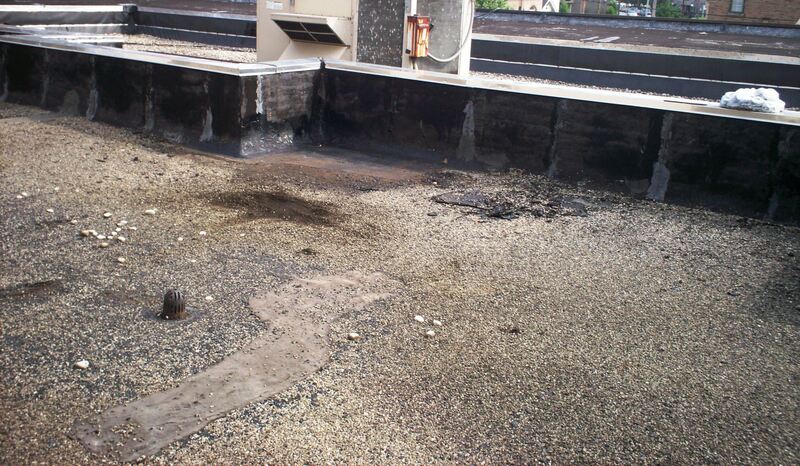 The customer had no experience with foam but now he and his maintenance team are foam believers. 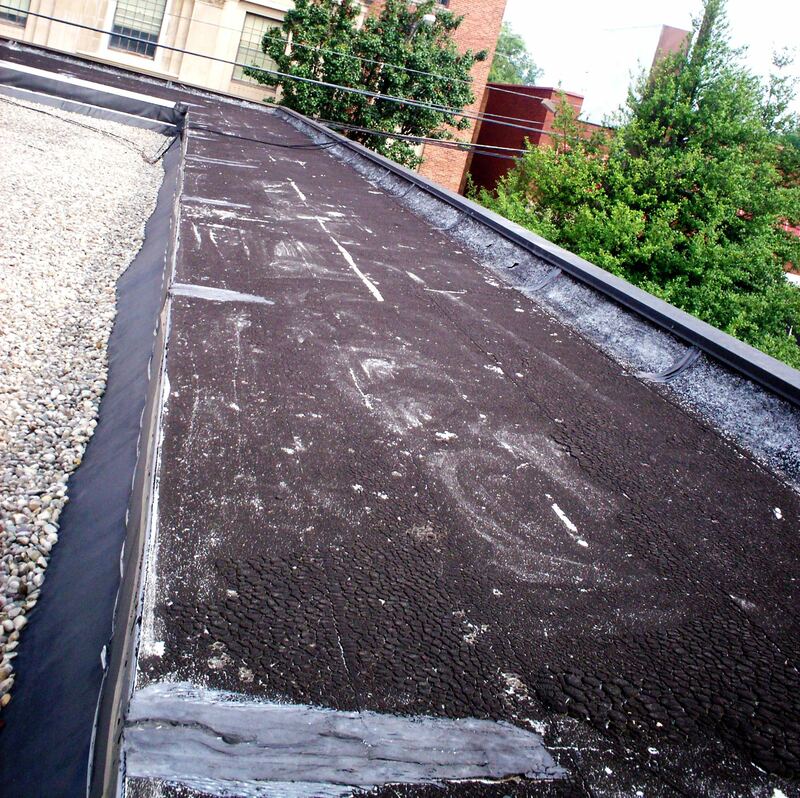 They are particularly thrilled that we not only solved the problems with the built-up roof but also, with very minimal added cost, eliminated the leaking with their rolled roofing, ballasted rubber and tar roof sections. Because part of the building is sublet, they are also excited that the added insulation value will generate profit for them every month. 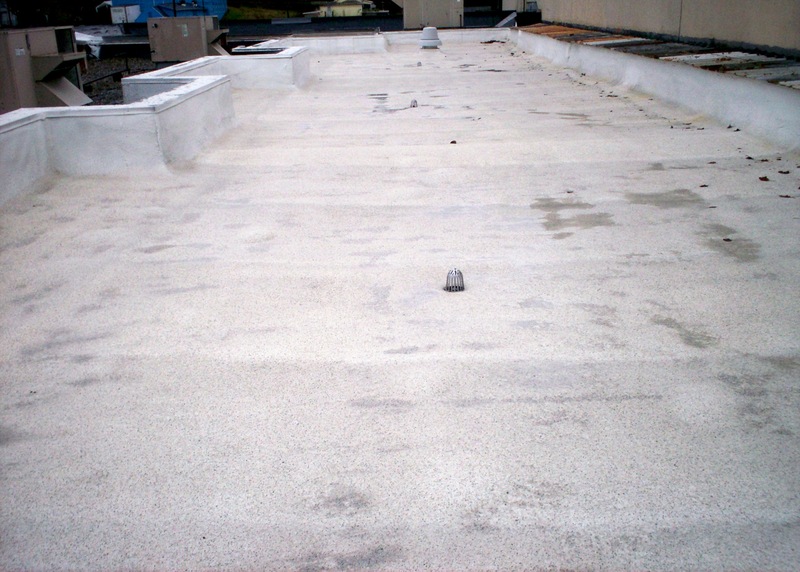 They were pleasantly surprised that the FoamCoat team not only foamed and coated their parapet wall to stop the water intrusion in the damaged rolled roofing but also recoated their metal coping in the process, improving the appearance.